Nighttime is the best time for stories. And Lulu is the best storyteller. She knows about the three cross-eyed dogs at a fancy restaurant, about blue and green mountains where fish fly, about the family party where Maishel Shmelkin forgot to wear his pants and of course about the noodle woman the pointy red nose. The stories, told by a sister to her little brother, are short and sweet and make you remember things and forget things. 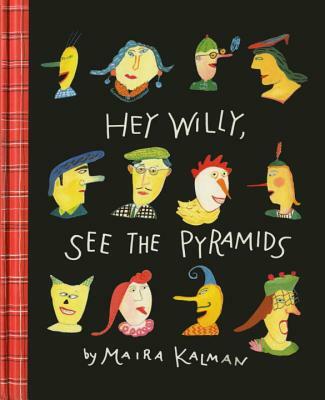 Maira Kalman paints a wondrous and humor-filled world in a childs-eye view. It is full of wild invention, people familar and outlandish, bittersweet moments and flights of fancy. "Overall, Hey Willy, See the Pyramids is a truly wonderful and creative book about dreams and stories that children will love for years! I would recommend this book to children ages five and up."